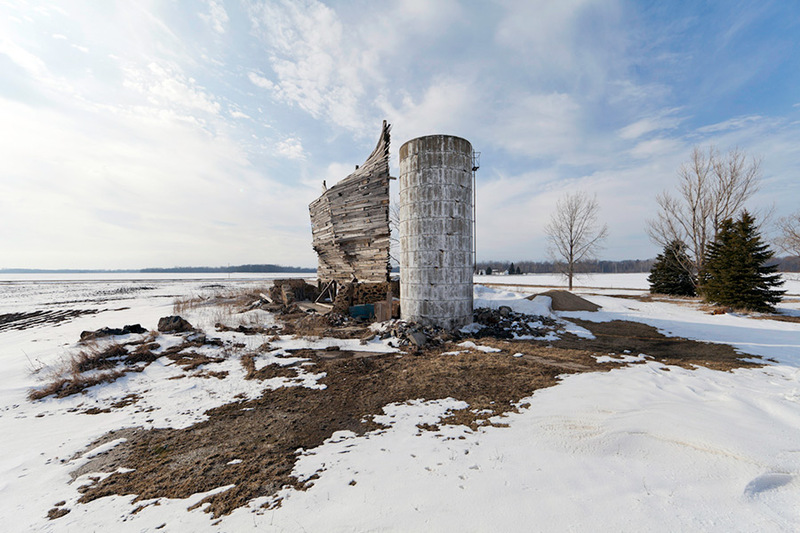 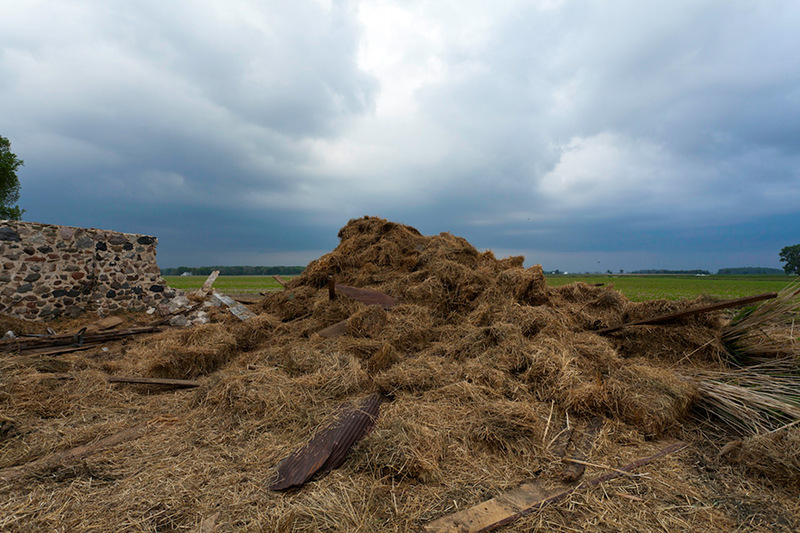 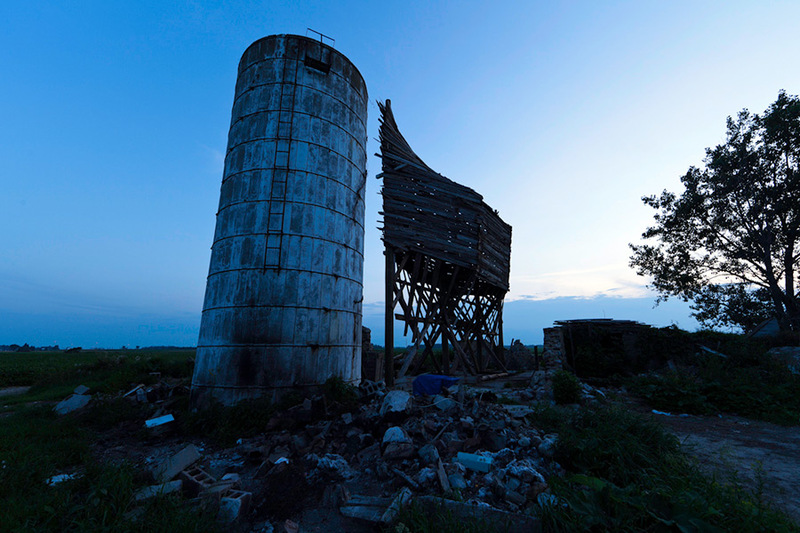 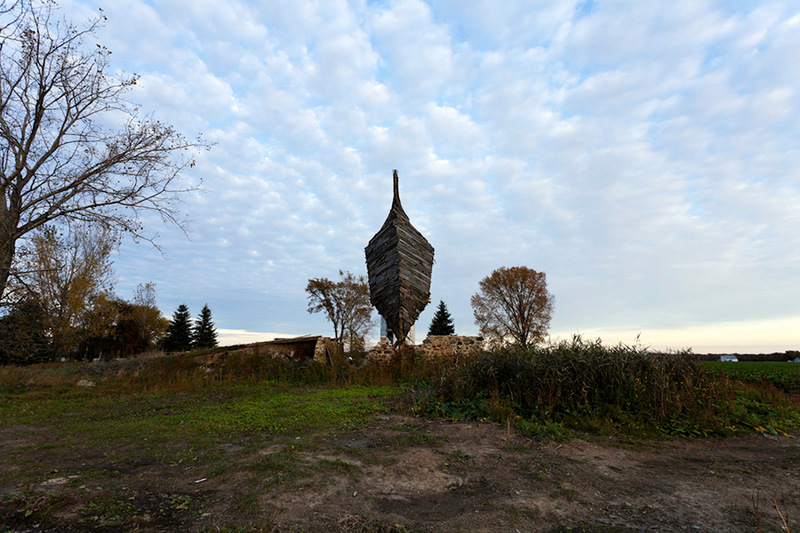 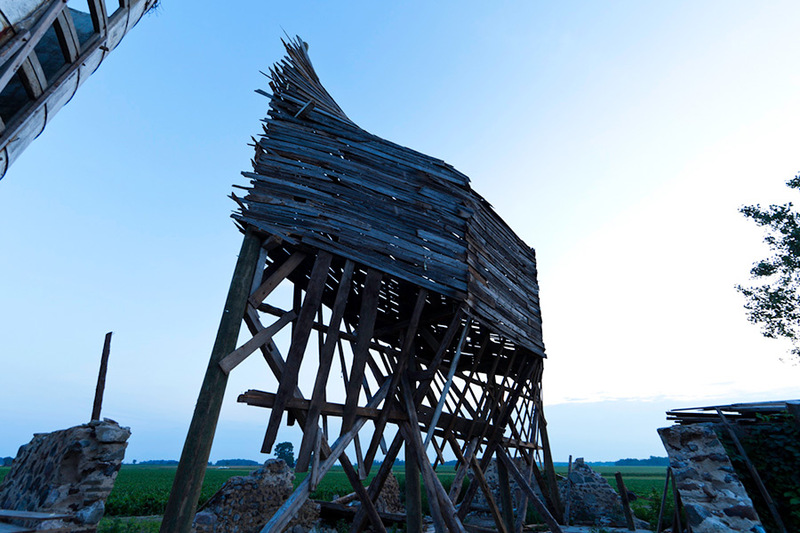 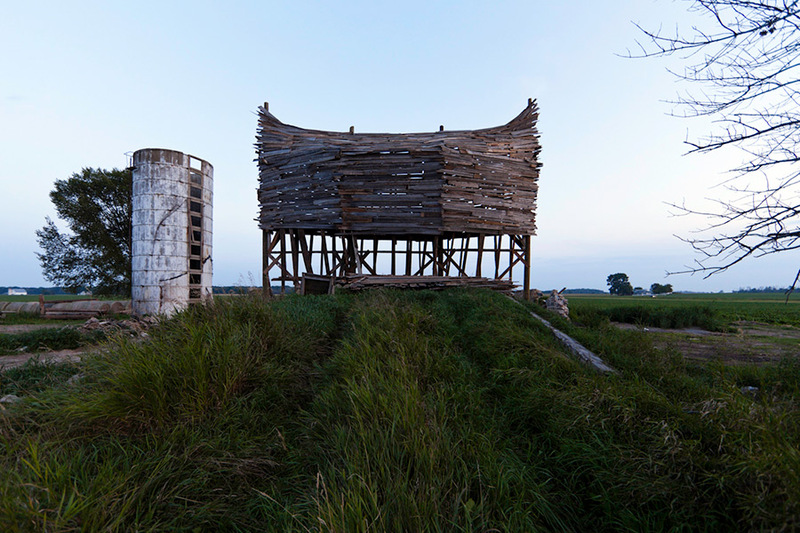 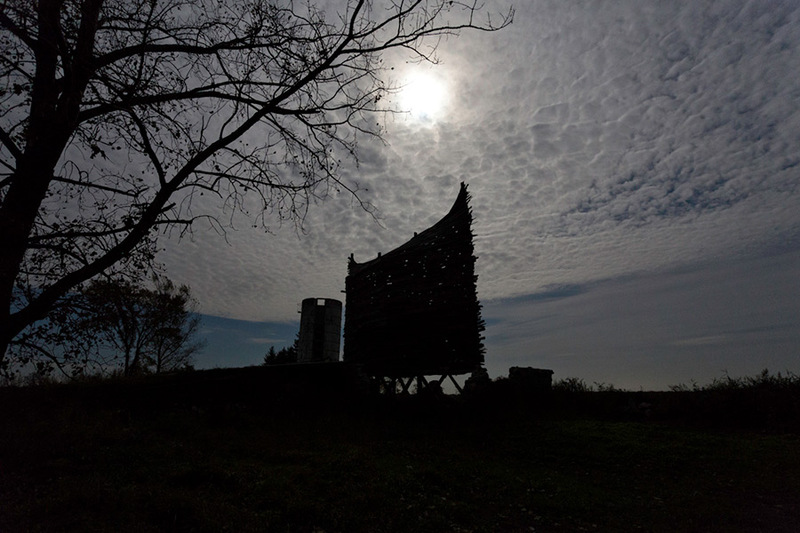 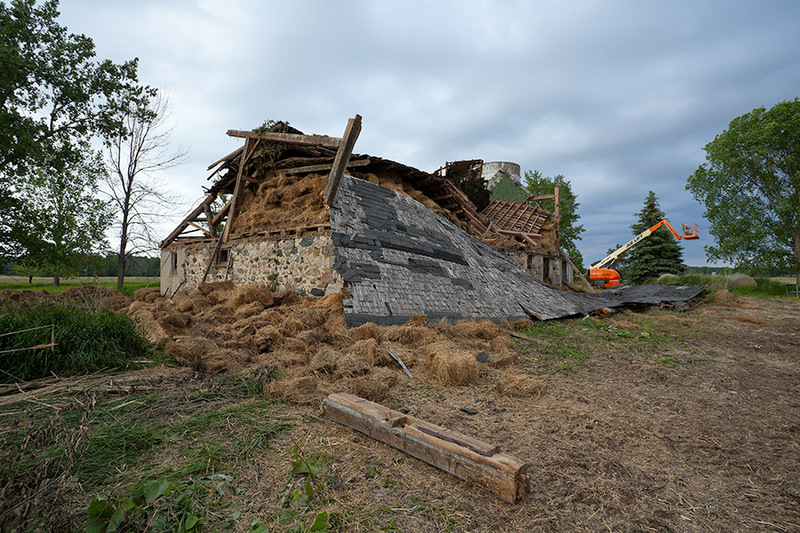 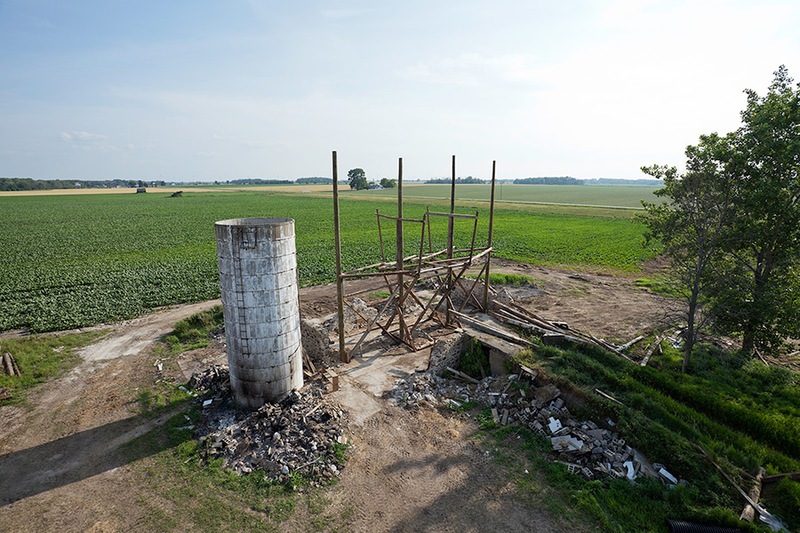 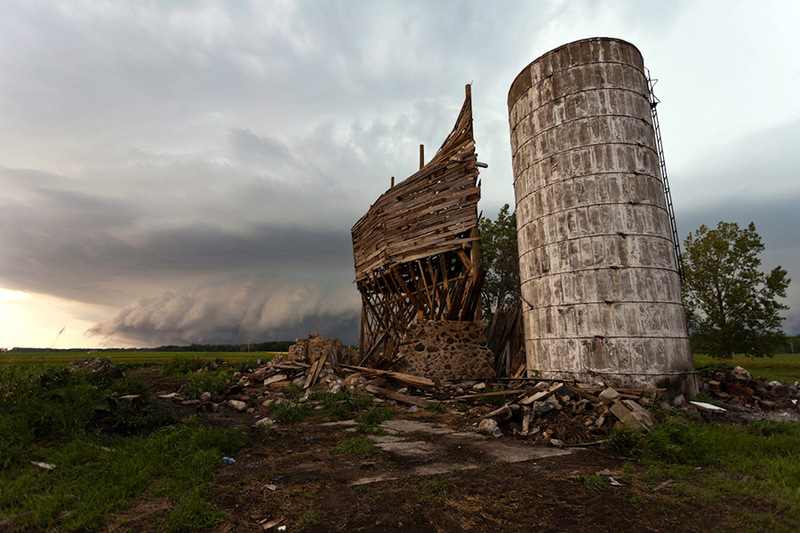 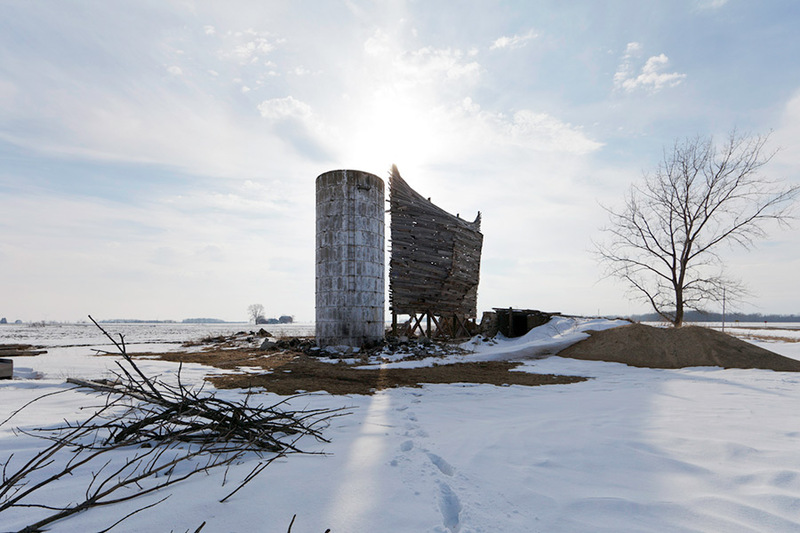 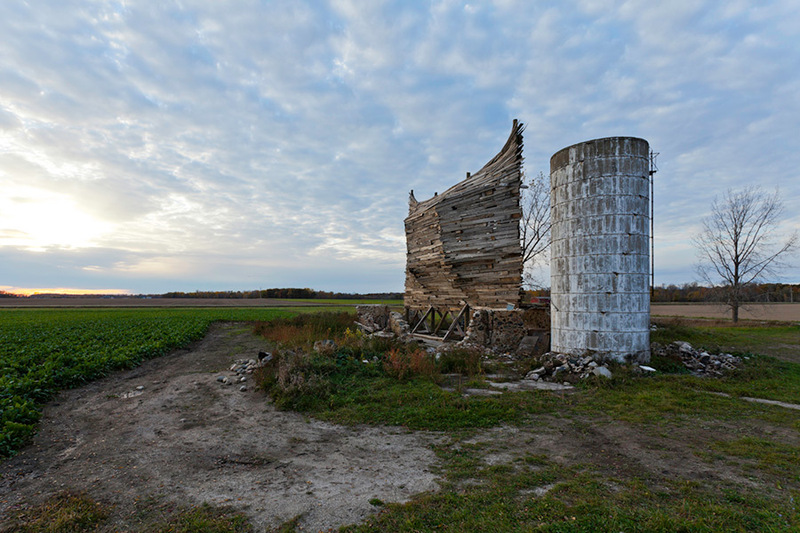 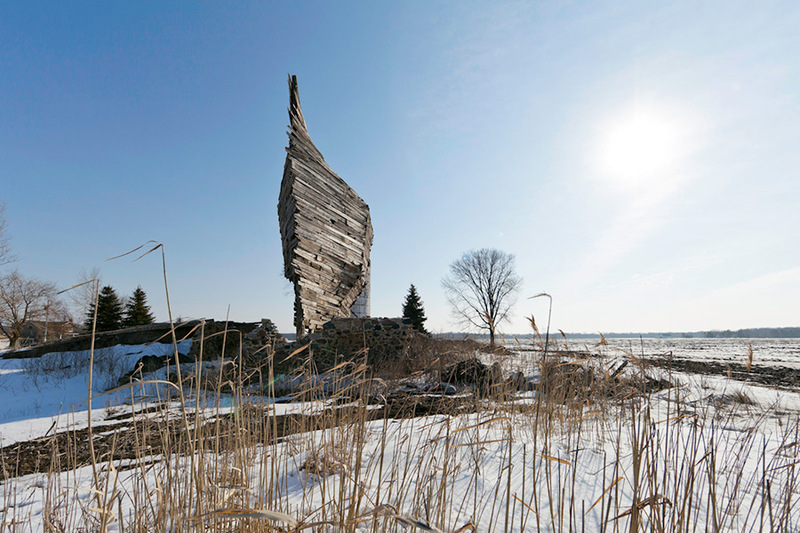 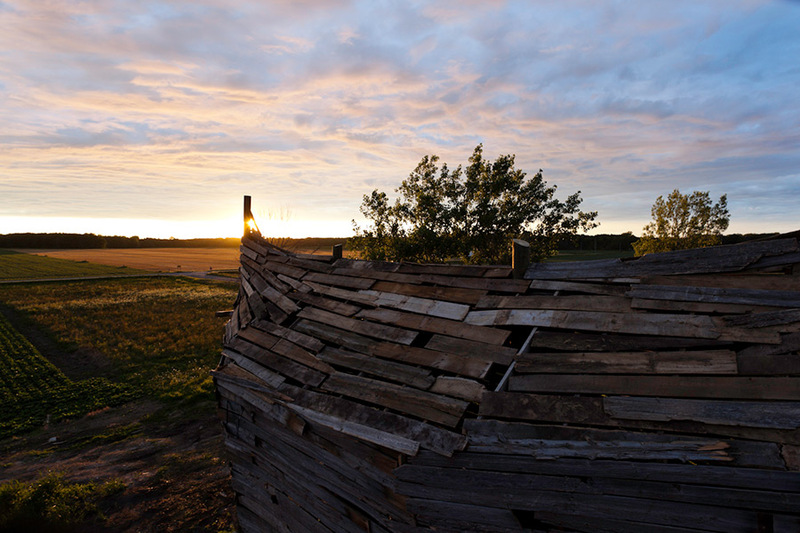 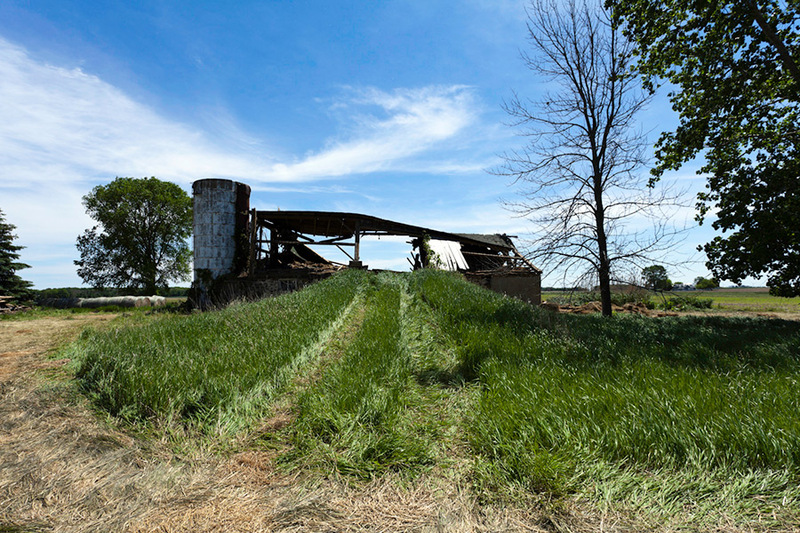 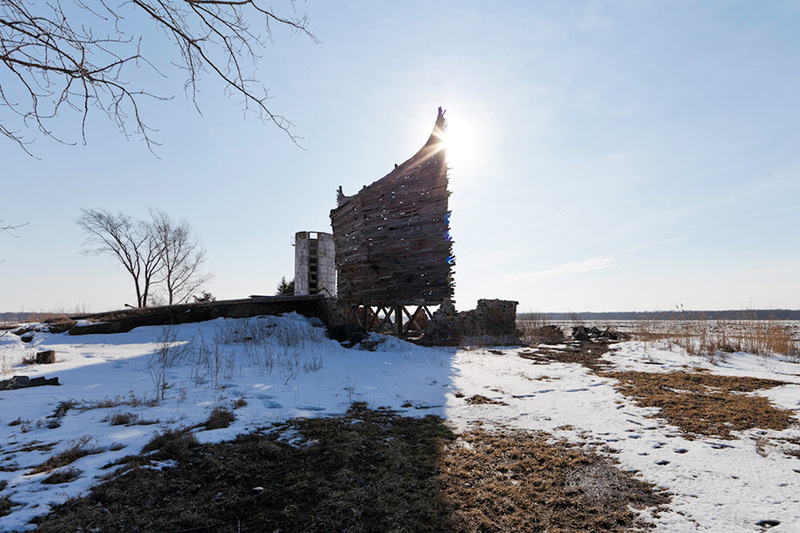 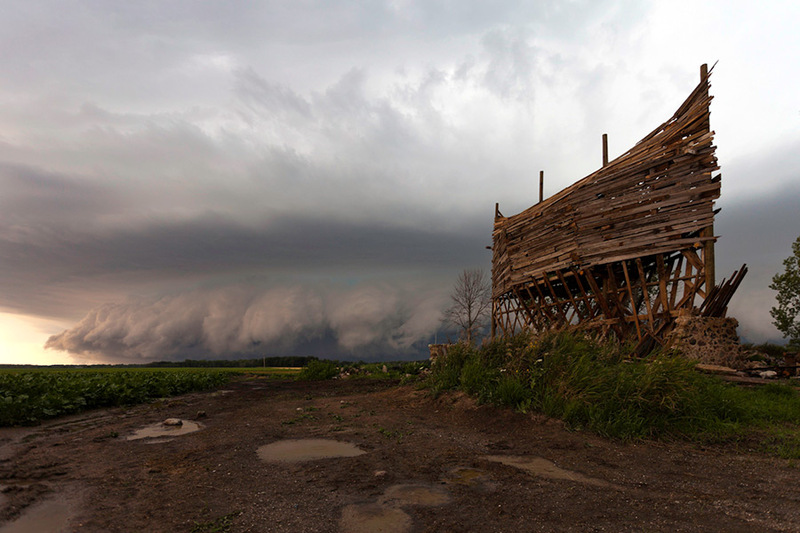 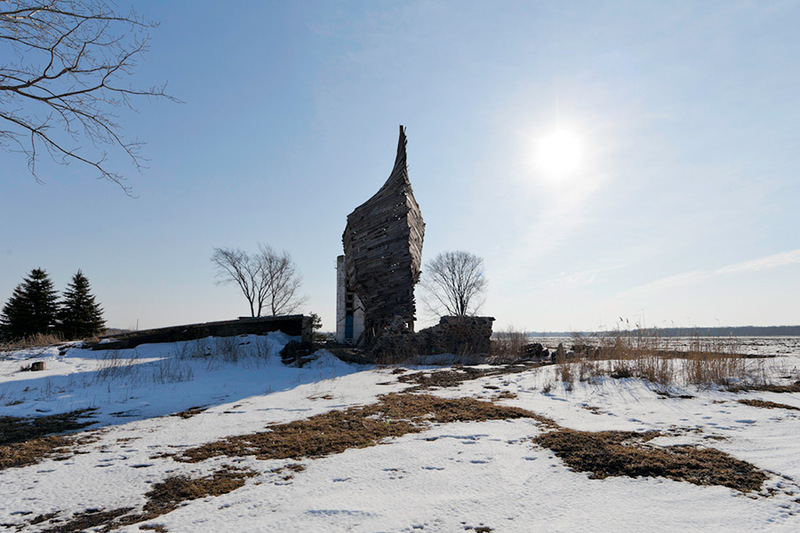 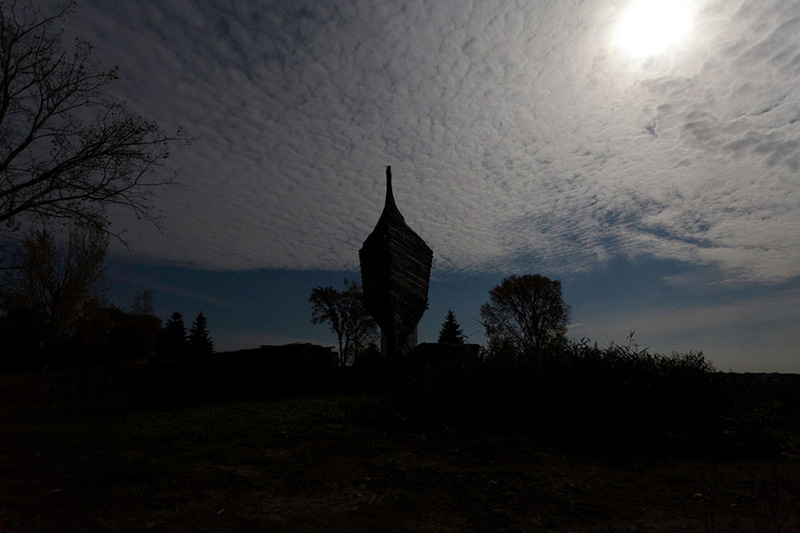 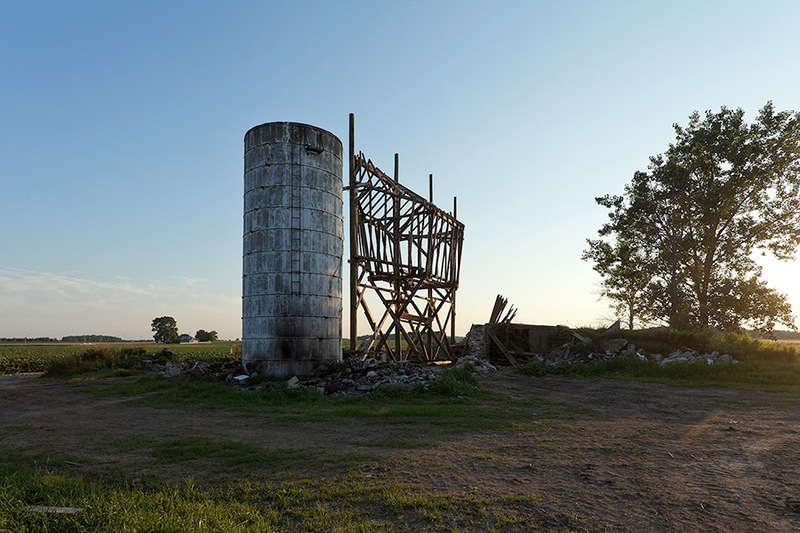 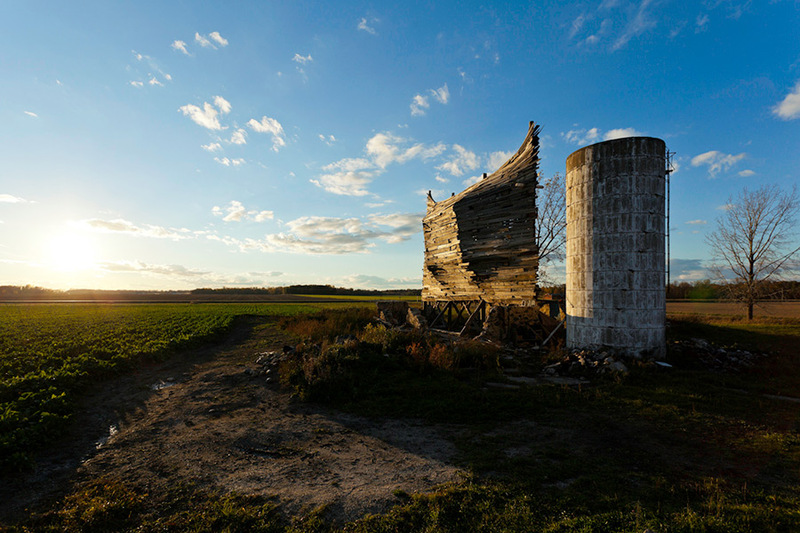 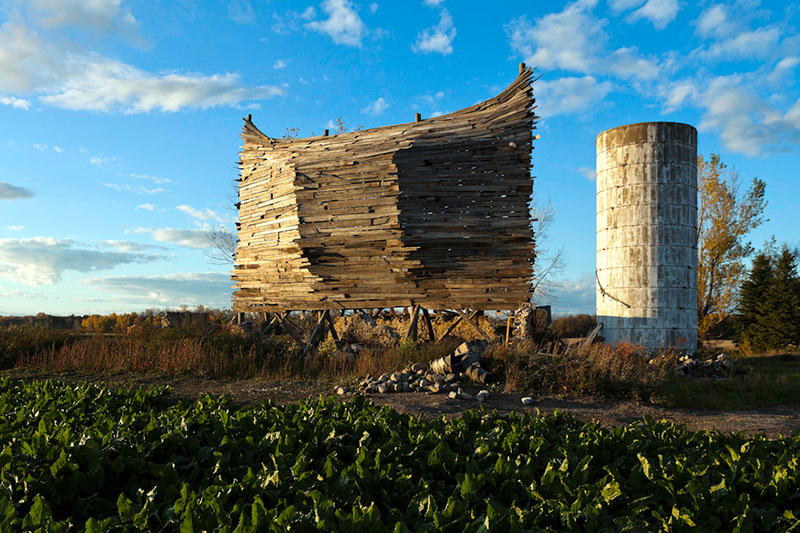 THE CELESTIAL SHIP OF THE NORTH (EMERGENCY ARK), aka the Barnboat, is a site-specific installation and permanent sculpture in the farmlands of Michigan's Thumb. 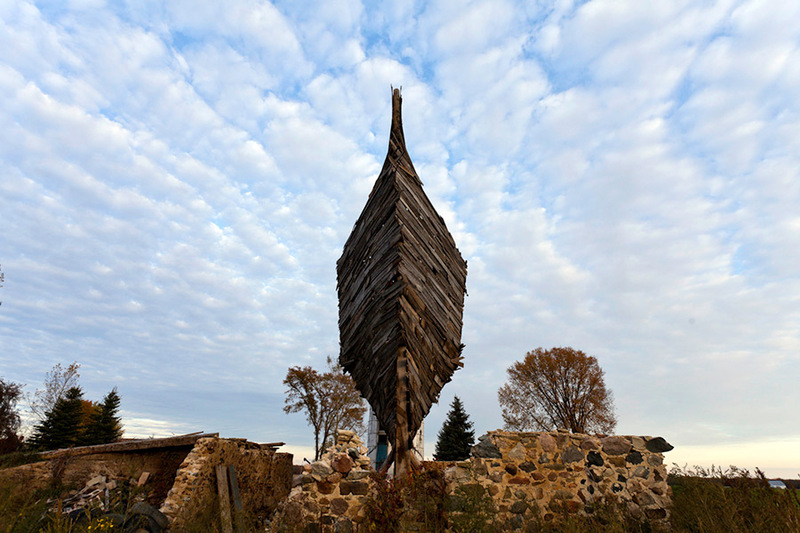 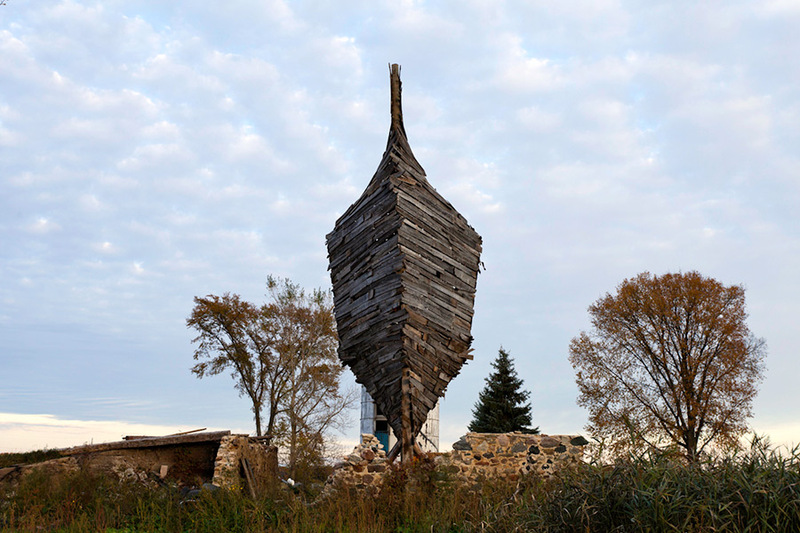 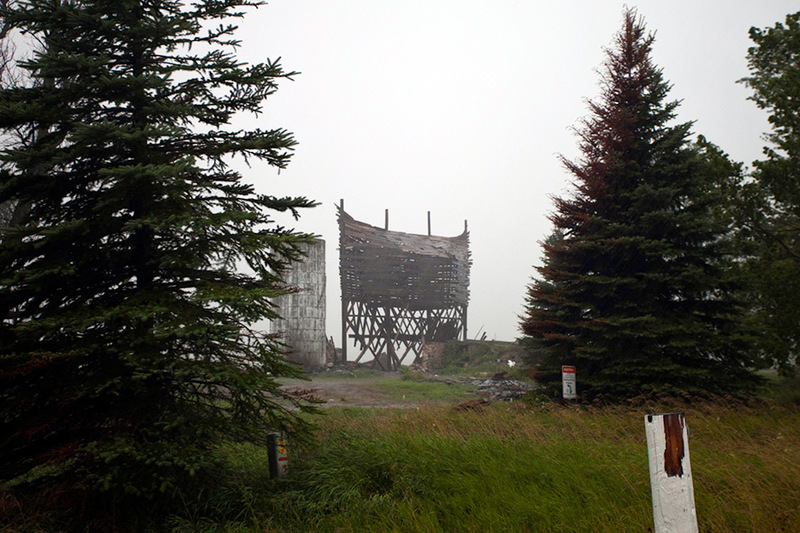 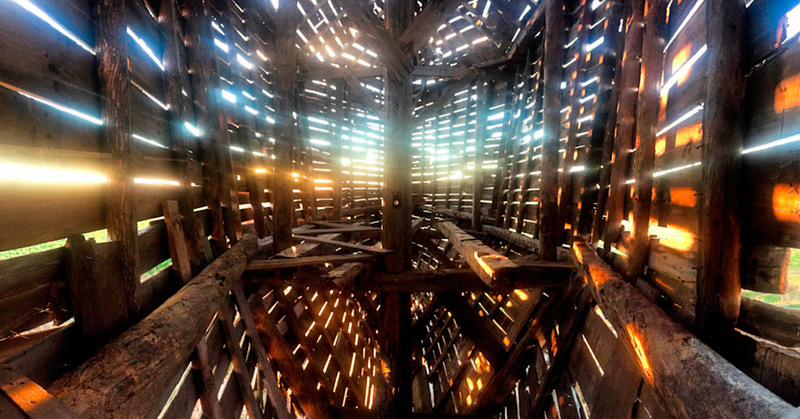 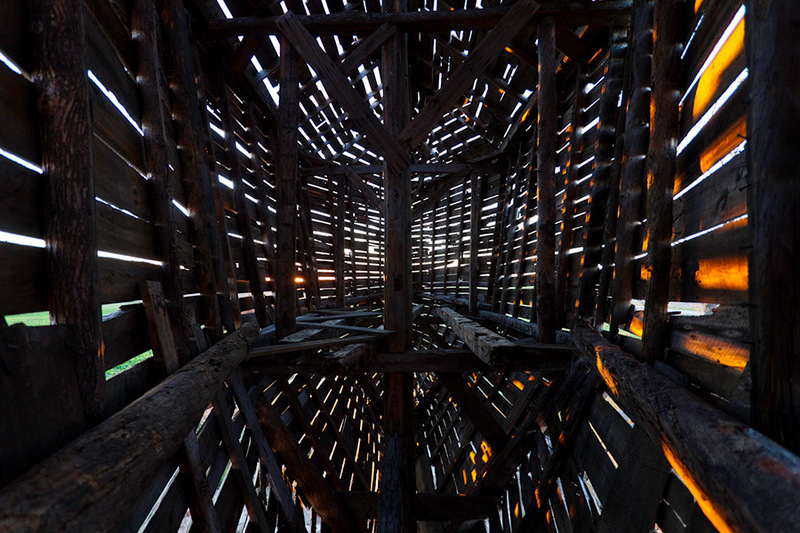 Based on ideas of ancient vessels, duality, alchemical symbolism, destruction myths, and deluge stories, and shaped by the site's history and incredibly consistent winds, the Barnboat was built over the course of 3 months, and made entirely from the beams and boards of a collapsing 1890s barn that stood in its place. 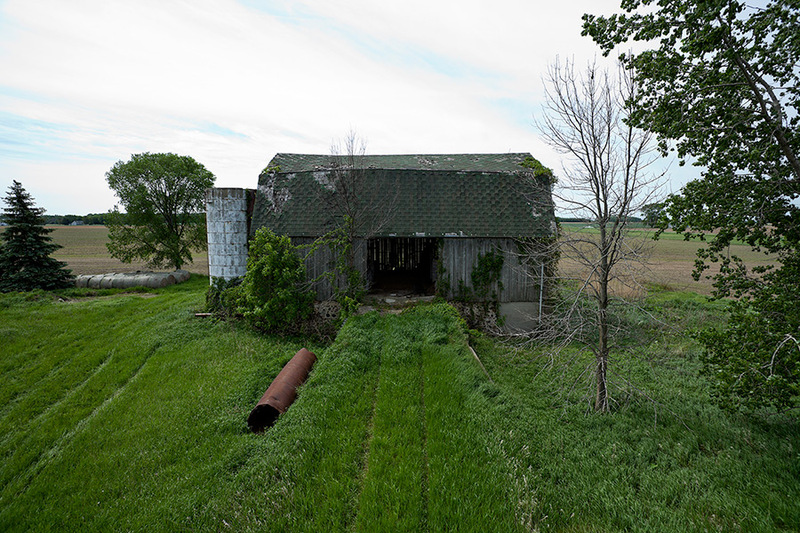 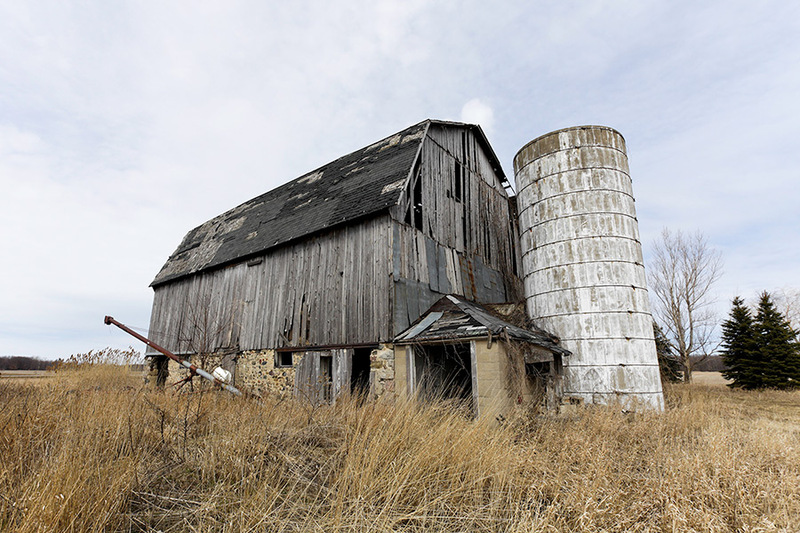 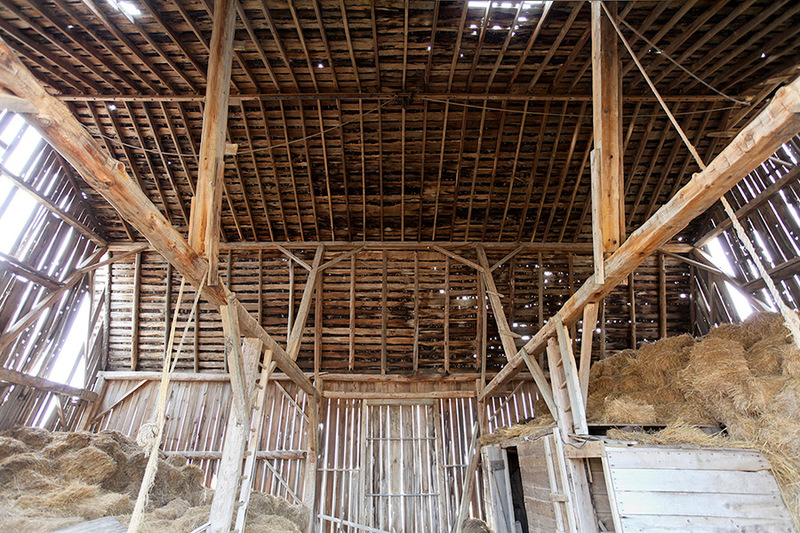 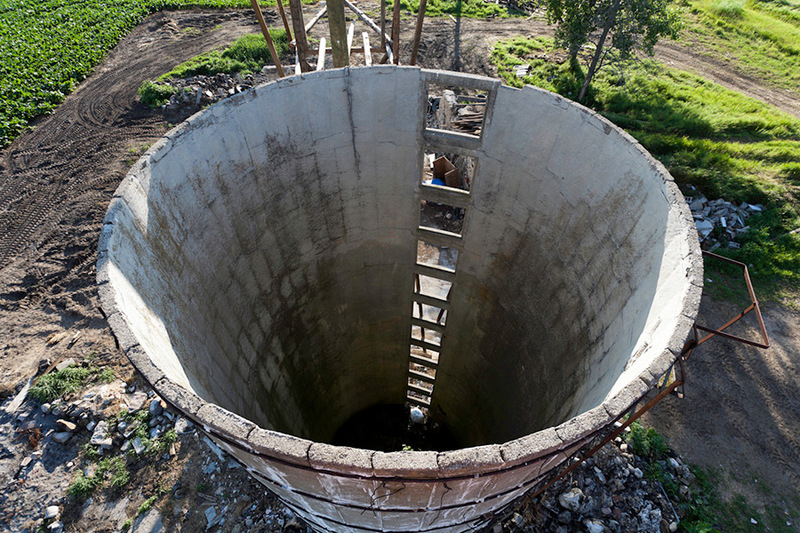 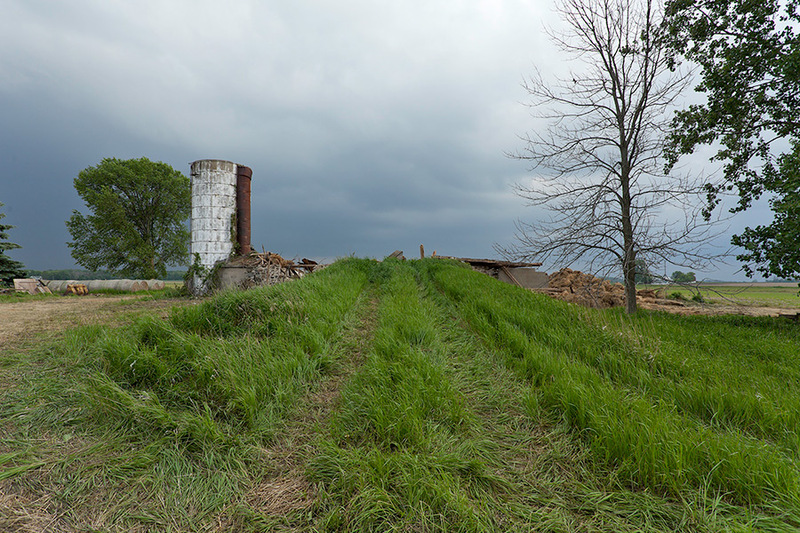 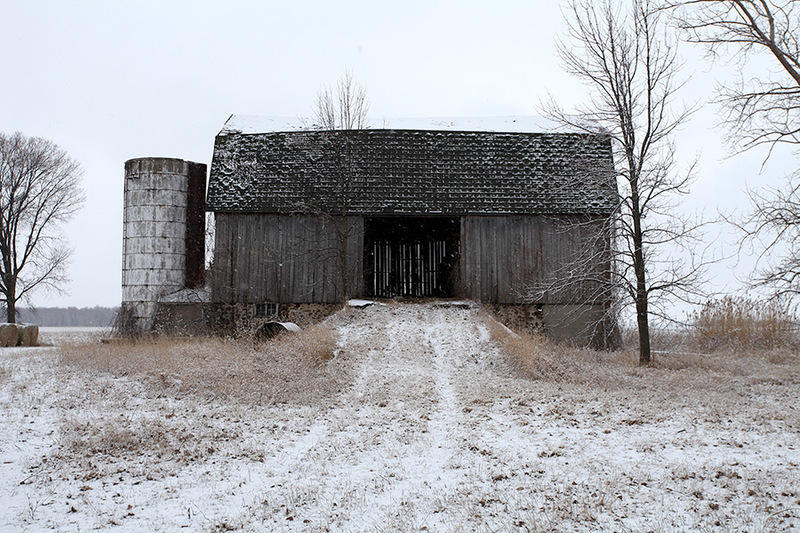 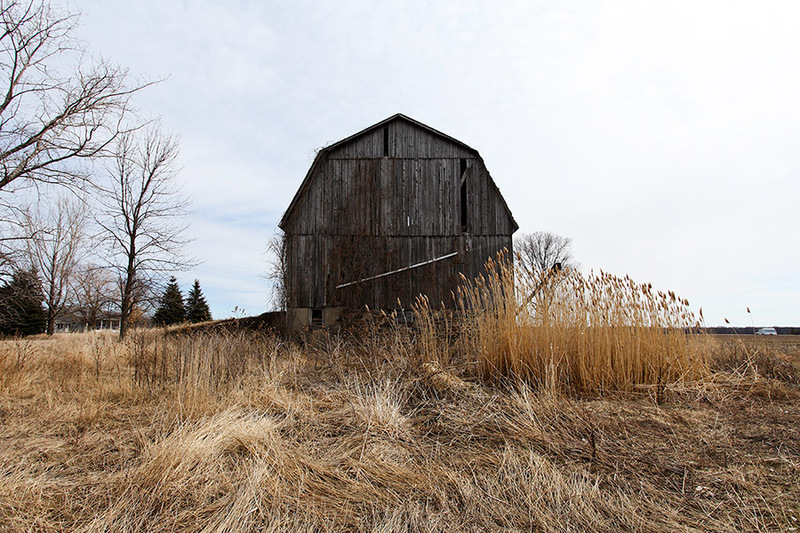 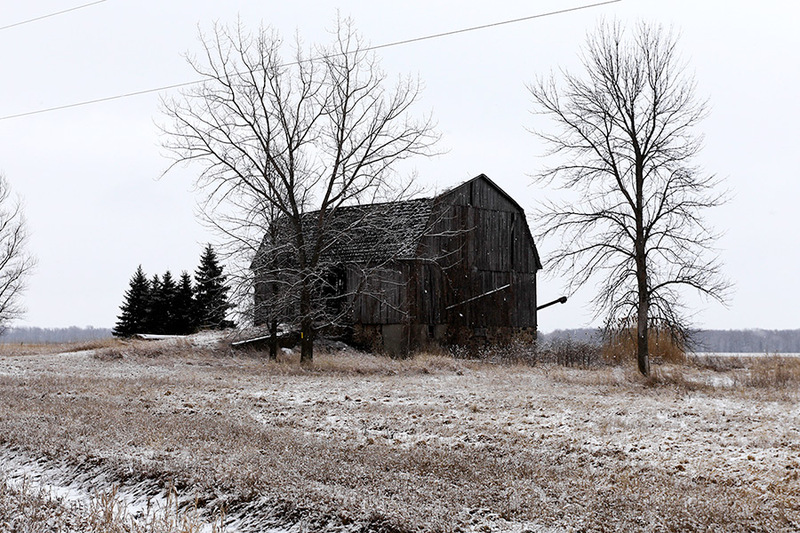 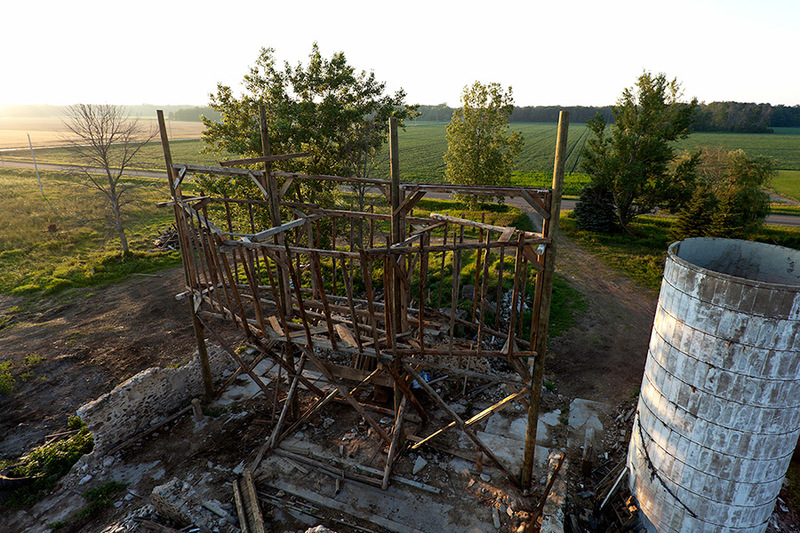 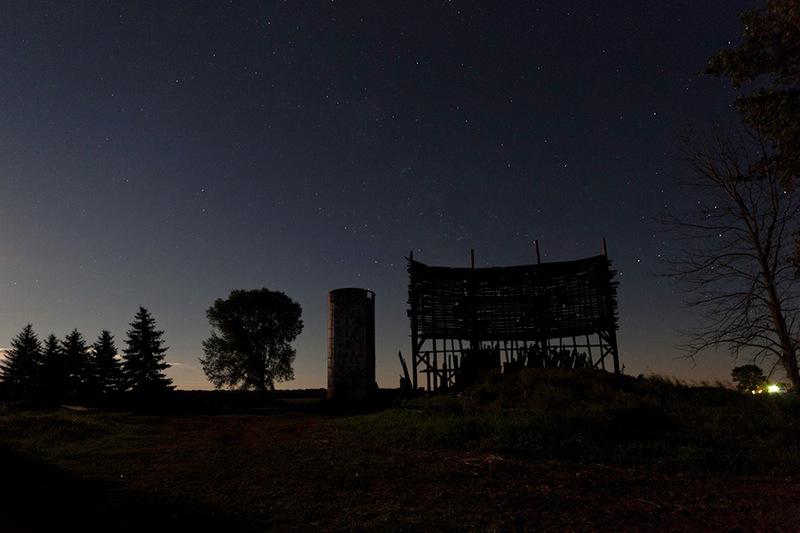 Built on the Goretzki farmland, the Ship will continue to decay, just as the barn it was made from did.